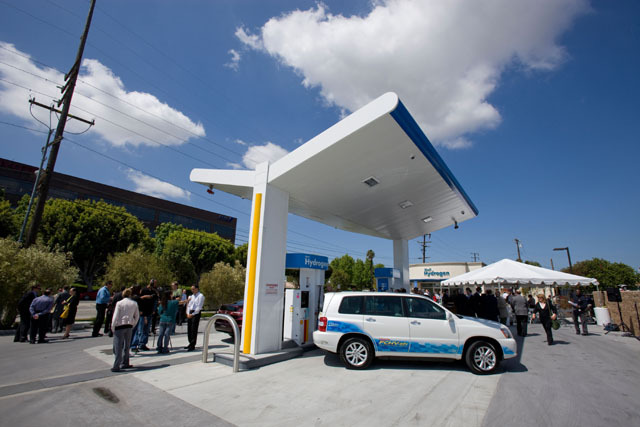 Toyota Motor Sales, U.S.A., Inc. (TMS) today celebrated the opening of the first hydrogen fueling station in the U.S. fed directly from an active industrial hydrogen pipeline. The station is a collaborative effort between Toyota, Air Products, Shell, South Coast Air Quality Management District (SCAQMD) and the Department of Energy (DOE). 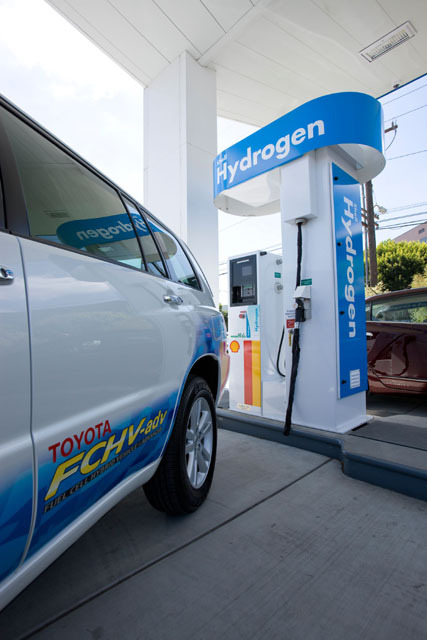 The facility will provide hydrogen for the Toyota fuel cell hybrid demonstration program vehicles as well as other manufacturers’ fuel cell vehicle fleets in the Los Angeles area. Toyota’s fuel cell hybrid vehicle fleet has logged several million miles since hitting the road in 2002, with significant technological improvements along the way. The first generation fuel cell hybrid vehicles (FCHV) estimated range was 130 miles. In 2009, the latest generation vehicle, Fuel Cell Hybrid Vehicle - Advanced (FCHV-adv), achieved an estimated range of 431 miles on a single fill of hydrogen. In addition to fuel cell stack efficiency and range improvements, durability and cold temperature operation have greatly improved along with significant reductions in manufacturing and materials costs. Toyota’s current FCHV-adv nationwide demonstration program is placing more than 100 vehicles with demonstration partners by 2013, providing one of the largest fleets of active fuel cell vehicles in the country. The primary goal of the demonstration program is to spur infrastructure development prior to fuel cell vehicle market introduction in 2015. Successful infrastructure development will require collaborative efforts between manufacturers, government regulators, and business, similar to the partnerships formed to open the Torrance Shell hydrogen demo station.
" FCHV Specs Overall Length / Width / Height (mm)	4,735 / 1,815 / 1,685 Weight (kg)	1,880 Seating Capacity	5 Maximum Cruising range (km)* 10-15 test cycle / JC08 test cycle	Approx. 830 / Approx. 760 Maximum Speed (km/h)	155 Fuel Cell Name	Toyota FC Stack Type	Polymer Electrolyte Output (kW)	90 Motor Type	Permanent Magnet Maximum Output in kW (ps)	90 (122) Maximum Torque in N-m (kg-m)	260 (26.5) Additional Specs Fuel	Hydrogen Storage System	High-pressure storage tanks Maximum Storage Pressure (MPa)	70 Tank Capacity (L)	156 Battery	Nickel-metal hydride "